Share the post "How To Optimize Your PPC Campaigns"
Pay per click is an online advertising method used to boost traffic to your website. A Pay Per Click campaign can be setup by purchasing keywords from one of the pay-per-click search engines or directories. 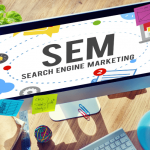 With search engines, advertisers typically bid on keyword phrases relevant to their website. The campaign can also be placed on other relevant websites where the webmasters charge a fixed rate per clicks rather than letting the advertisers bid for their keywords. PPC ad campaigns have been used for many years and they prove to be extremely useful. If you monitor the campaign regularly, you’ll be able to improve the performance of your PPC ads. A keyword is a word or phrase that consumers would use to locate information about the products or services when they search on the internet .You should select more descriptive phrases for your products or services so that your ads will appear to those who are important to you – prospective customers searching for what you have to offer. Not every person will enter the same keyword spelling to search for your type of product or service. You can boost your chances of getting more prospects by including spelling variations and plural forms in your keyword while creating your PPC ads. By specifying keyword matching options that will trigger your ads, you can widen or narrow your focus on prospective customers. With broad match keyword options, search engine will automatically run your ads on relevant variations that include synonyms, singular/plural forms of your keywords, even if these terms aren’t in your keyword lists. You should not forget to include a complete phrase match for your keyword phrase so that any user who types in the phrase will get to view your ads through search engine sponsored results. Exact match of your keyword phrase is what you will mainly target to grab users who know exactly what kind of product or service they want. 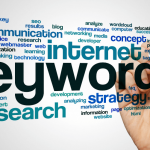 Negative keywords also called as excluded keywords can be included in your ad campaign to avoid unqualified traffic that increases your overhead costs. An effective PPC campaign drives qualified traffic to your website for the purpose of increased visibility and increased sales. Your daily budget decides how frequently your ad is shown to the internet users for your keywords. To increase the number of times your ad is shown on a day, set your daily budget high enough so that the ads won’t turn off during the day. Your PPC ad content will first be showed to the visitors who will then decide whether or not to click on the Ad. So, you should focus on creating PPC ad content that is compelling enough for the users. • Your ad title should be your targeted keyword. • Follow a clear style. • Test multiple ads per ad group. • Identify the unique aspects of your product or service and convert it into a unique selling point for your website. Landing pages are displayed when internet users click on your PPC ads. You have to link to appropriate and informative web pages because users click on your ad when they are interested in what you offer. Make it easy for them to find out more by sending them to a relevant landing page. After establishing a successful PPC campaign, you should review your campaign from time to time and make necessary changes. Monitoring tools help you to track how your ad campaigns are performing. Conversion rate which specifies the number of ad clicks that are required to convert into purchase determines the success of your ad campaigns. By monitoring page views and leads, you can optimize your PPC campaign and get the most out of it. By trying to incorporate your knowledge and experience while creating PPC campaigns, you can achieve the results you want to see.